WHO WILL SUCCEED TO JAYALALITHA’S PROPERTIES? Jayalalitha’s election affidavit filed in April 2016 revealed that she owned assets worth Rs 113.73 crore of which movable and immovable assets were worth Rs 41.63 crore and Rs 72.09 crore respectively. Jayalalithaa also had Rs 41,000 cash in hand and liabilities worth Rs.2.04 crore. She had declared agriculture in the profession column. Now the question is: Who will succeed to these properties? 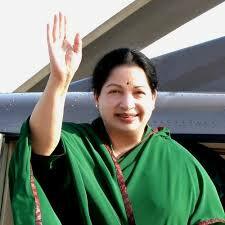 If Jayalalitha has left any Will the succession will take place according to the Will. If she has not left any Will, the succession will take place as per the provisions of the Hindu Succession Act since Jayalalitha died as a Female Hindu. (1) The property of a female Hindu dying intestate shall devolve according to the rules set out in section 16 : (a) firstly, upon the sons and daughters (including the children of any pre-deceased son or daughter) and the husband; (b) secondly, upon the heirs of the husband; (c) thirdly, upon the mother and father; (d) fourthly, upon the heirs of the father; and (e) lastly, upon the heirs of the mother. ……..
16. Order of succession and manner of distribution among heirs of a female Hindu: The order of succession among the heirs referred to in section 15 shall be, and the distribution of the intestate’s property among those heirs shall take place, according to the following rules, namely:- Rule 1- Among the heirs specified in sub-section (1) of section 15, those in one entry shall be preferred to those in any succeeding entry and those including in the same entry shall take simultaneously. Rule 2- If any son or daughter of the intestate had pre-deceased the intestate leaving his or her own children alive at the time of the intestate’s death, the children of such son or daughter shall take between them the share which such son or daughter would have taken if living at the intestate’s death. Rule 3-The devolution of the property of the intestate on the heirs referred to in clauses (b), (d) and (e) of sub-section (1) and in sub-section (2) of section 15 shall be in the same order and according to the same rules as would have applied if the property had been the father’s or the mother’s or the husband’s as the case may be, and such person had died intestate in respect thereof immediately after the intestate’s death”. Jayalalitha has not left (i) sons and daughters (including the children of any pre-deceased son or daughter) and the husband; (b) heirs of the husband; (c) mother and father; Therefore the heirs of the father is in the next order of succession. “Heirs of father” means Jayalitha’s brothers and sisters. She had no sister but had a brother who is no more. Her brother has left a son and a daughter. As per Rule 3 mentioned above, Jayalalitha’s brother’s son and daughter will succeed to the properties. Now, assuming that Jayalalitha has left a Will, the succession will take place as per the Will. Under Section 17 of the Registration Act, 1908 registration of Will is not mandatory but it is only optional. Therefore, an unregistered Will is also valid. Under Section 30 of the Hindu Succession Act, “Any Hindu may dispose of by will or other testamentary disposition any property, which is capable of being so disposed of by him, in accordance with the provisions of the Indian Succession Act, 1925, or any other law for the time being in force and applicable to Hindus”. A combined reading of Sections 57 and 213 of the Indian Succession Act, 1925 makes it profoundly clear that where the Will was executed by a Hindu within the Ordinary Original Civil Jurisdiction of the High Court of Madras or the properties covered under the Will are located within the Ordinary Original Civil Jurisdiction of the High Court of Judicature at Madras as dealt under Clauses (a) and (b) of Section 57, the executor or the legatee under the Will is bound to approach the said court for grant of probate or letters of administration failing which the right as executor or legatee cannot be established in any of the courts of law. Therefore the executor or legatee has to approach the High Court, Madras for grant of Probate or Letters of Administration. In an Application for Grant of Probate or Letters of Administration public notice has to be issued inviting objections if any, for grant of the Probate or Letters of Administration. If anyone objects to the grant and disputes the claim, the Application will be converted as a Testamentary Original Suit and the claim will have to be proved as any other claim in a regular suit involving trial and examination of witnesses. It should be proved that at the time of executing the Will, the testator was in a sound disposing mind and that she put her signature in the Will out of her own free will and that she had signed it in the presence of the witnesses, who attested it in her presence and in the presence of each other. If the Will is proved, the beneficiaries mentioned in the Will shall get the properties.